Step 1 To Launch the software, Go to Start » All Programs » PSD to TIFF Converter. Step 2 Click on Open button to add PSD and Select the required file to save PSD to TIFF. 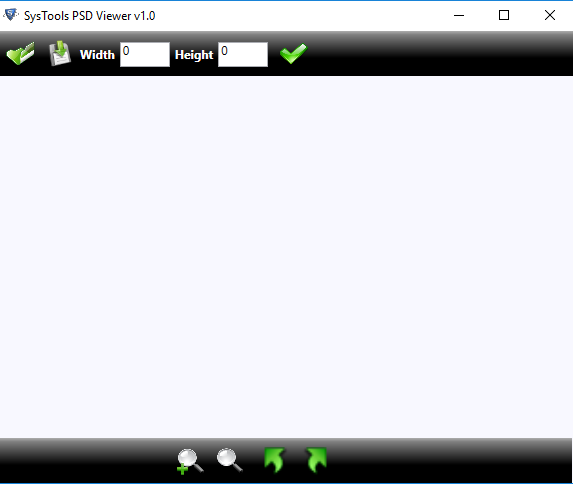 Step 3 Preview of PSD file is available on application screen, Click on Save File button. 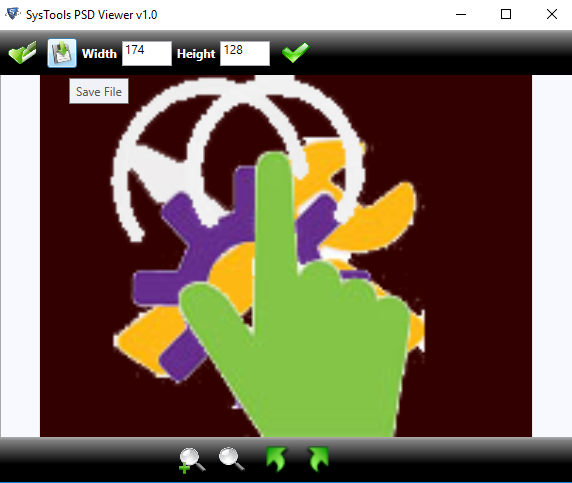 Step 4 Choose the desired location to export PSD to TIFF file format on the local machine. 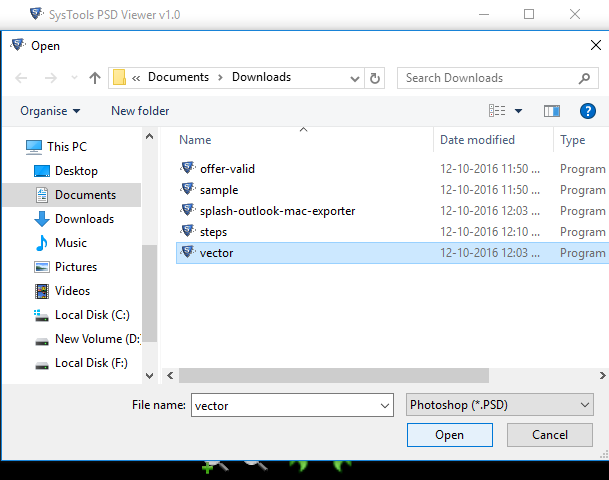 Is the PSD to TIFF Converter tool compatible with all version of Adobe Photoshop? This utility helps to convert PSD to TIFF file format and supported PSD format from any Adobe Photoshop version including CS6, CS5, CS4, CS3, CS2, and CS1. Is there any chance of corruption in Tiff images, while saving PSD to TIFF image? PSD to TIFF exporter software is completely safe and secure for PSD to TIFF migration process because it is fully tested and used by many end users. Is there any Adobe Photoshop files size limitation with PSD to TIFF exporter Software? There is no any Adobe Photoshop files size limitation with PSD to TIFF converter, users can easily save PSD to TIFF image in original format. Can I convert PSD to TIFF image multiple times? You can save PSD to TIFF file as many times as you want and use this software multiple times without any limitation. 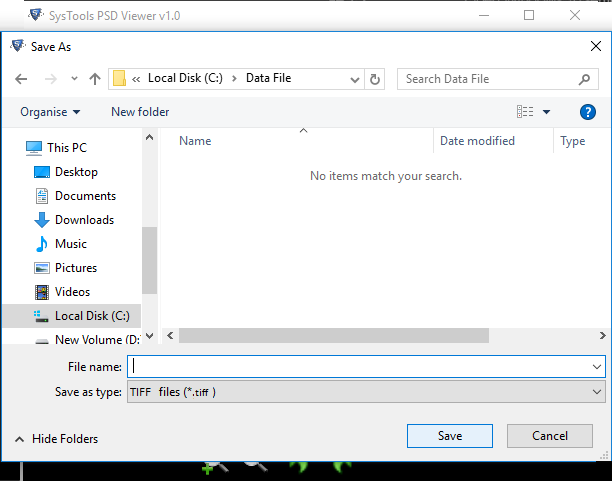 How many files can I export at one time by PSD to TIFF Converter tool? 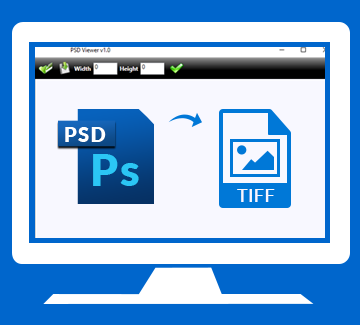 You can convert PSD to TIFF file one by one, batch conversion currently not available in this version. "The Best PSD to TIFF converter software! Rapidly save PSD to TIFF file format without any limitation. All Adobe Photoshop PSD files converted in original format without single changes in TIFF image quality." "Export PSD to TIFF image quickly without required Adobe Photoshop environment on a local machine. The PSD to TIFF converter tool is such a great software to export PSD to BMP. Thank You for the Software!"